Well, the time has come to pack the suitcases, then repack and repack again till it fits, trek off to the airport and head on up to Brisbane, before setting sail on my very first ever cruise voyage. Our sister company, Unlock the Past is proudly hosting their first ever History and Genealogy Cruise on the P&O Cruise Ship Pacific Dawn, which sets sail this weekend. Staff from both Gould Genealogy & History and Unlock the Past will be on this voyage which incorporates all the regular features of a cruise … relaxation, accommodation, meals, entertainment, shopping, and day tours on islands, together with history and genealogy themed meetings. 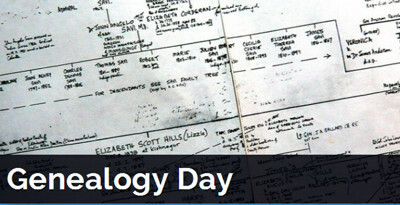 While the ship holds around 2000 people, our group of 240 or so (many well versed in numerous topics of history and/or genealogy) guarantees that there is bound to be some interesting conversations around tables. 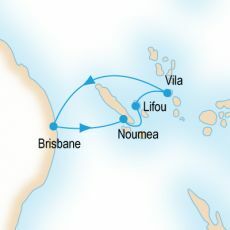 This 7 day voyage from Brisbane, to Noumea (New Caledonia), Lifou (New Caledonia), and Vila (Vanuatu) and back will hardly be long enough to explore the ship and islands, let alone fit in a bunch of meetings as well. With 14 decks the ship not only has a whole range of restaurants and bars, but also includes a casino, beauty parlour, card room, childcare centre, cinema, fitness centre and gym, hot tubs, show lounge, a library, pool and spa, medical centre, shopping boutiques and more … and even an internet cafe. However as the rates for internet usage are expensive, I do not know how often I’ll be logging on to give you updates. 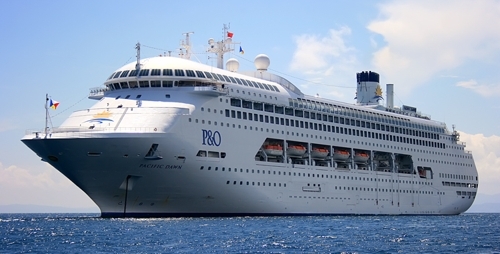 Subject to no cyclones or tsunami’s or other possible holdups, the P&O Pacific Dawn is due to dock back in Brisbane on Saturday 26 March. Pssstt … have you heard about our second cruise?? It’s going to be a Scottish and Irish themed one!! Click for more info.